Harvard Law School Professor Ronald S. Sullivan Jr. is defending his controversial decision to represent alleged Hollywood abuser Harvey Weinstein. 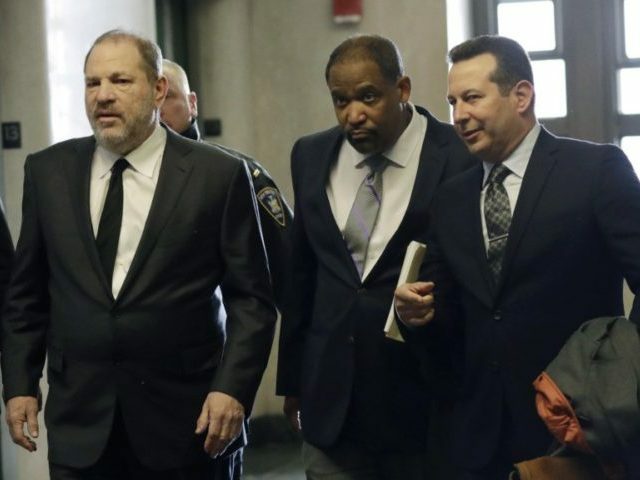 According to an interview with the New Yorker, Harvard Law School Professor Ronald S. Sullivan Jr. is still aggressively defending his decision to represent former film industry mogul Harvey Weinstein, who has been accused of various acts of sexual misconduct by dozens of women. Breitbart News reported in February that Harvard University was conducting an investigation into Sullivan Jr. over his decision to defend Weinstein in court. In a statement, Harvard College Dean Rakesh Khurana wrote that Sullivan Jr.’s decision to defend Weinstein has led to a “climate concerns” at the Harvard residential hall that Sullivan Jr. supervises. Now, in an interview with the New Yorker, Sullivan Jr. is defending his decision to defend Weinstein. In one portion of the interview, Sullivan Jr. made the case that rich defendants face bias in the courtroom. Absolutely, because they walk into the court with the presumption of guilt, as opposed to the presumption of innocence. And it is important to note that, even with rich defendants, their resources pale in comparison to the resources of the government, which has an entire prosecutorial office and law enforcement at its disposal. Even rich people are at a resource disadvantage walking in, so the popular mythology that you can buy justice really doesn’t apply in the criminal context. In another portion of the interview, Sullivan Jr. made a convoluted statement about public defenders. Sullivan Jr. essentially argues that a public defender, which would have been assigned to Weinstein if he had not secured an attorney, would have been better equipped to take on the case because he or she would have more courtroom experience. I think that public defenders are among the best in the country in trying very difficult cases. They’re trained to do it. They do it all the time. I don’t think there’s a necessary dichotomy between public defenders and great lawyers. To the extent that your question is “Am I the only lawyer who can represent Mr. Weinstein,” the answer is clearly no. That’s never been the argument I have made. Weinstein’s trial is tentatively scheduled to begin in May.